Rabbi Abraham Cooper is the associate dean of the Simon Wiesenthal Center in Los Angeles. He has been a longtime activist for Jewish and human rights’ causes on six continents. 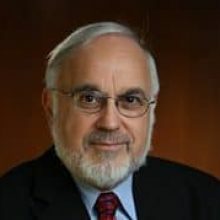 Since 1977, Rabbi Cooper has overseen the Wiesenthal Center’s international social action agenda and worldwide promotion of tolerance education. He is widely recognized as a pioneer and international authority on issues related to Digital Hate and Terrorism. Rabbi Cooper regularly meets with numerous influential religious and political leaders, and has coordinated international conferences at UNESCO, Berlin, Geneva and multi-faith conferences on religion and terrorism in Bali and Mumbai. He has testified before the United Nations, the United States Senate, the Japanese Diet, the French Parliament, and the OSCE.. His op-eds appear internationally in the secular and Jewish media. Newsweek/Daily Beast lists Rabbi Cooper together with Rabbi Hier as #8 among the “50 Most Influential Rabbis in the United States”. He is a founding member of Israel’s Global Forum on Anti-Semitism.